See the the CinCityCon Registration and event listings, website, Meetup and Facebook pages, but basically it will be $10 entrance to get in and all events are free. We will be having a Heroscape tournament 10am-2:30pm (time subject to change) and Heroscape & Magic:AotP learn-to-play team games afterwards. I will need to volunteers to help set-up/tear down. There will be tons of other events there too, and $10 is cheap for a con! 4 round swiss style tournament (+ 2-player championship if needed). Players bring a pre-drafted 540 point 24-hex Heroscape army, C3V/SoV allowed, Marvel banned, but at least 1/2 the army points (270) must be spent on unique or uncommon heroes. 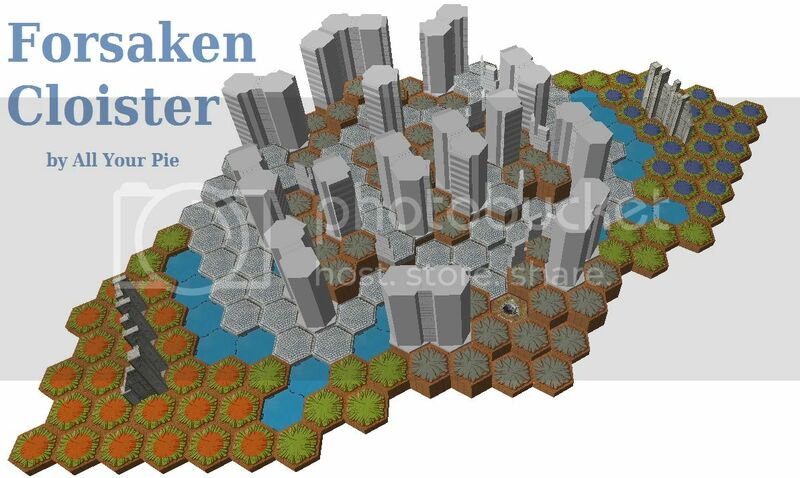 Bring the army you are going to play and a set of dice and markers. If you don't have figures for the army you want to play, just ask on this thread and I or someone else can provide it. Full card scoring of what you kill, but ranked by SOS above points. All maps will have 1-2 power glyphs and 1-2 treasure glyphs, total of 2-3 glyph per map. Glyph of Dagmar (Initiative +8 ) - When you roll for initiative, add 8 to your die roll. Glyph of Valda (Move +2) - For each figure you control, add 2 to their Move number. Glyph of Lodin (+1 to D20) - When you roll the D20, you may add 1 to your die roll. Glyph of Healer (AotP version) - At the start of this figure's controller's turn, remove one damage marker from this figure. Glyph of Wannok (Wound) - At the end of every round, roll the 20-sided die. If you roll a 1, the figure on the Glyph receives one wound. If you roll a 2 or higher, you may choose an opponent who must give one wound to any figure he or she controls on the battlefield. All released treasure glyphs (besides Brandar) will be in the pool, with master set glyphs (Attack +1, Defense +1, Healing) having double the chance of being on a map. Treasure Glyph Trap: On a roll of 1-5, do not reveal the Treasure Glyph. Instead, roll a battle die; if a skull is rolled the figure receives a wound. On a roll of 6 or higher, reveal the Treasure Glyph and place it on that Hero’s Army Card. 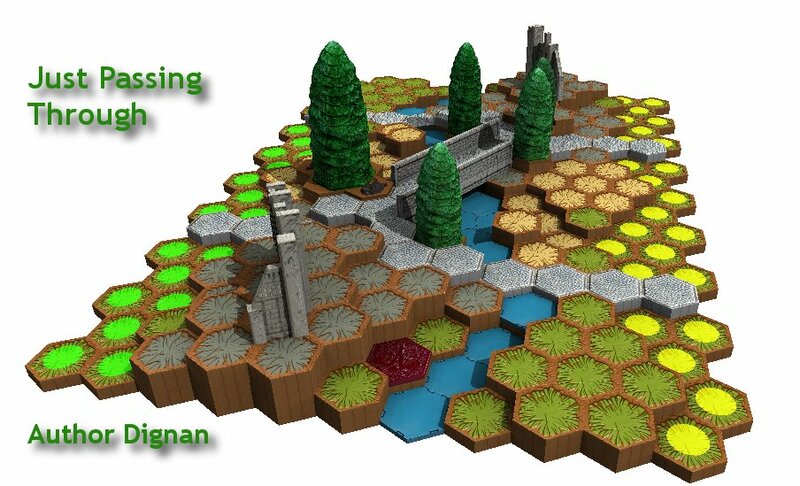 Heroscape & AotP learn to play (3-7pm): Teams of 2 on 2 individual games and not tournament. 3 rounds of roughly 1 hour 15 min games. No entry fee. For each team, one person plays with a Heroscape army and the other with an AotP army and spell deck. 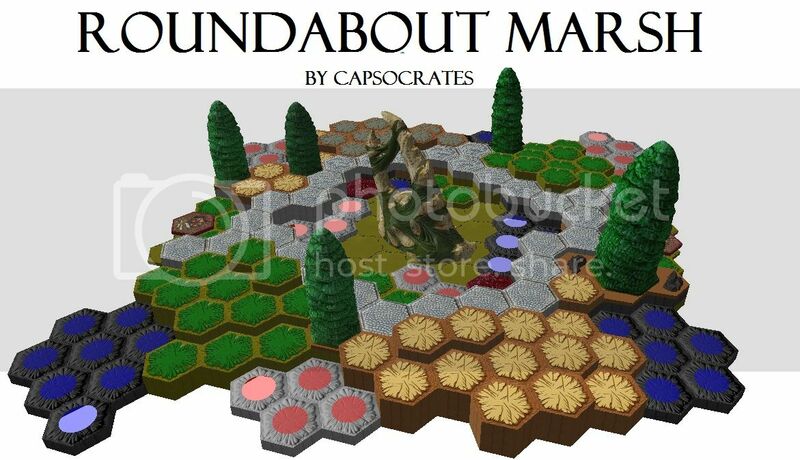 Only the Heroscape player uses Order Markers but everyone rolls for initiative each round (the AotP player can use Order Markers to keep track of turns taken but does not have to pre-plan them). Powers that refer to creatures or figures, toughness or defense, and crossed-weapon symbols or skulls are interchangeable. Planeswalkers are counted as a unique heroes and Zombies, Spirits, and Vampires are considered undead for Heroscape powers. All Heroscape terrain rules will be in effect and at least one map will have cryptoliths - I am house ruling you cannot summon or "drop" a figure on a cryptolith. We are plying by AotP rules that after a Plansewalker is dead, the AotP army still plays with the rest of the army, and you cannot draw more Magic cards, but you can still play the rest of the cards in your hand. Any other questions on combining we can figure out. 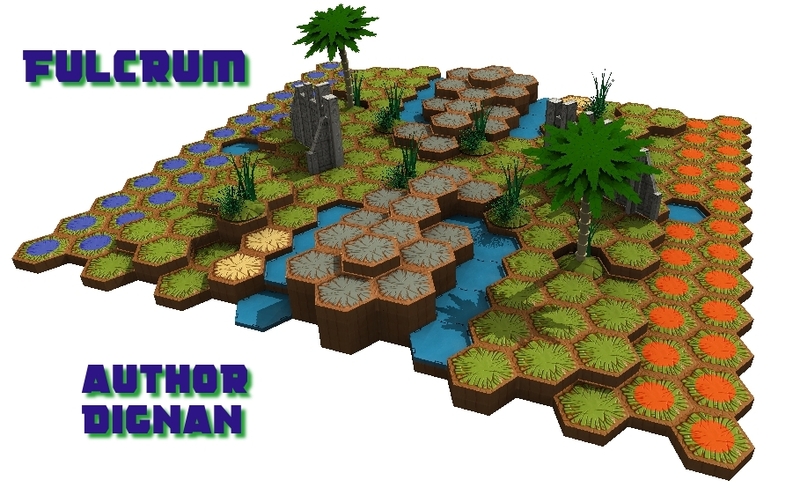 It will be mostly heroscape maps but also a couple maps made with AotP mats and terrain, including cryptoliths (see "house rule" for them above). 2 normal where noted, 1 treasure on top where Brandar noted (in Deadly Encounter scenario). Some extra lava tiles will be spread about on top. A modified version of my Mountain Over the Shadow - 1 BftU Master Set 3 & AotP Shadows over Innostrad mats with wierded spaces acting as Shadow, and cryoliths on the ends and center of the map, 2 normal glyphs. I may be interested in going. Been a lonnnnnnngggggg time since I've played much and I don't know much of anything about the C3V/SoV guys but it'd be nice to play a bit. I go to school down in Dayton now so it ain't too bad of a trip. Father Of Julian, StormShadow, and Wookie will be attending. I may be able to make it I'll let you know. I have plenty of HS & M:AotP terrain & figures. Let me know what to bring. Cool, already some yesses from the Dayton area players (only 45 min or so away). What is yall's opinion on doing Reverse The Whip or not? 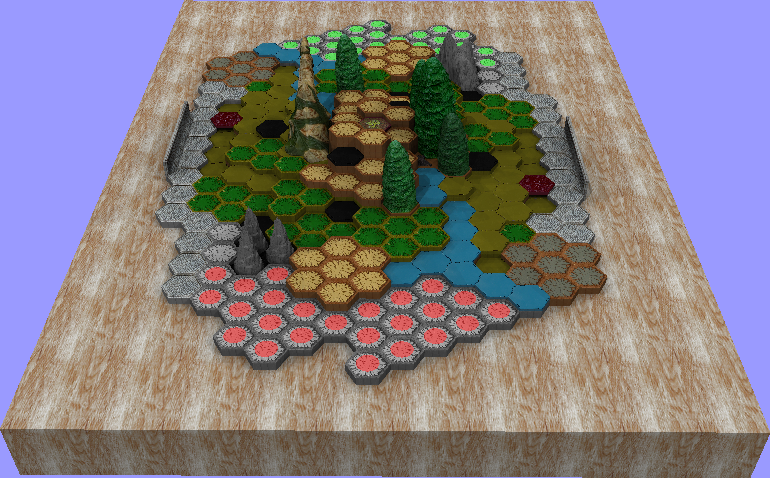 It might be fun to do and will vary the armies more, but honestly with the high hero count it should be different already, and just in case some newbies come to the heroscape tournament scene want to come, it might be easier not to do it, although I am allowing C3V/SoV and those are weird for newbies too. Also, the AotP & Heroscape learn to plays - I wanted to make it open to new people at the con to learn and play, but also open to us experienced players to just have some fun games. Therefore I was thinking of doing 2v2 team events, that way one experienced player and one newbie can play together, and that would mean some patience on our part, but less patience than spending the entire time teaching and watching people play. So my question is how many of you would be willing to either sit with 2-4 newbies and not play but just teach, and how many of you would be willing to play with a newbie on a team, and which do you think would be better both for us and the new people? Also for whether we play Heroscape or AotP each game would be entirely up to the newbies what they would more like to play. 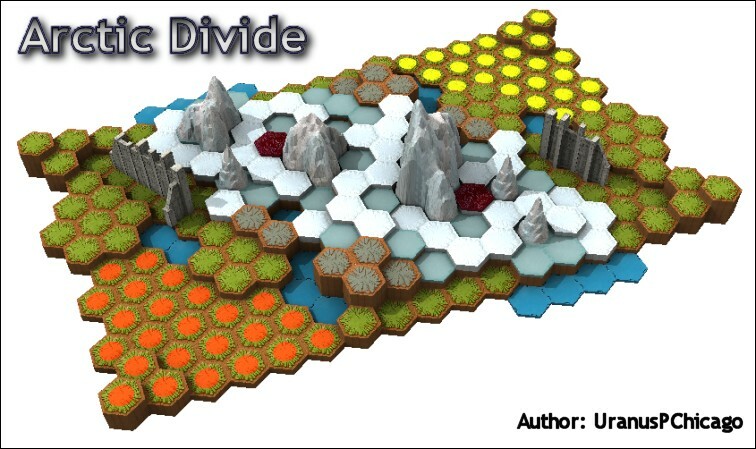 It might be interesting to combine the two games (such as in a 2v2 one person play with heroscape army and the other with AotP army and spell deck) but it might get too confusing. I would cap the learn-to plays at 4 hours total, so all games would be done at 7 and it would give time to both tear down as well as get some other games in at the con. Any suggestions? I will give some thought to maps and pre-built armies for the learn-to-play / open event (as well as the army I will bring for the tourney), but just noticed last year's NHSD was 540 points as well, so I might steal from that event for both maps and armies. Anybody from the Pittsburgh area thinking about making the drive? sadly I am always out in Cali. at this time, enjoy! Changed the OP to make the "learn-to-play" a definite 2v2 team games - I think it will be fun for experienced players as well as newbies. 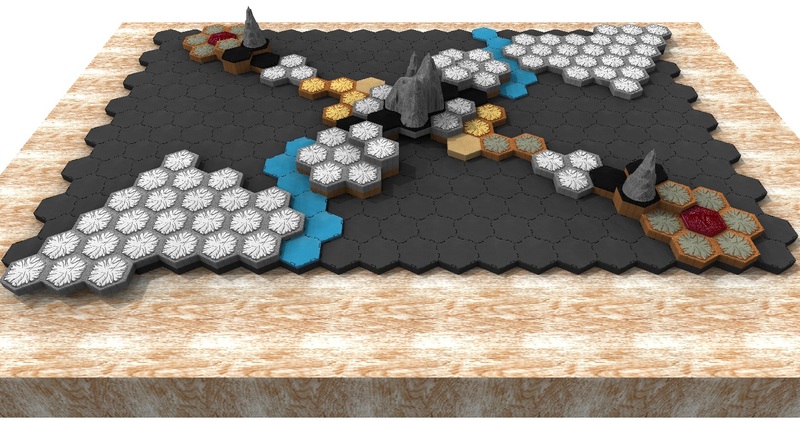 I think it would be fun actually to have a combined game where one person on each team plays a heroscape army and another plays an AotP army and spell deck (only the Heroscape player uses Order Markers but everyone rolls for initiative each round), but be prepared for both by bringing one 500 point army of each, so we can adjust each game by what the people learning the game most want to play with. I suspect each game will take 1 1/2 hours due to teaching newbies rules and having teams, so only 2 rounds of games will be played. Also made thread on Planeswalkers Arena forum. CinCityCon website is up but does not have schedule or ticket ordering yet - I am in contact with organizers so will keep you up to date. Things are looking great. Let us know if you need anything. Will the "Weirded Ground" have it's rules? Will it be treated as shadow? The CinCityCon Registration and event listing is live, including the Heroscape events, so you can pre-buy your $10 con pass and register for Heroscape tournament and Heroscape/AotP team games now. Currently set the player limit to 20 (bringing 10 maps) but we can do more if enough people RSVP here ahead of time. I made the Heroscape & Magic:AotP team games separate 1 hour 15 min events at 3:00, 4:15, and 5:45, but we can adjust more or less to game length, I just don't want to go more than 1 1/2 hours a game. If you only want to play in one or two (or none) of the team games, that is fine as there are a lot of other events at the con, but those that do play be ready to be patient with newbies as we teach during the game. Please post here once you register for events so I can keep track of how many non-forum users sign up. I may also be running a late night When Pigs Fly, a Cincinnati themed PG-13 version of Cards Against Humanity or Apples to Apples. Last edited by lefton4ya; September 13th, 2016 at 10:27 PM.